Do you have a favourite poem? Or, a favourite poem you’ve written? This is practice in combining media to convey greater meaning. And, you can do it from the comfort of your phone! An example for a poem by Rupi Kaur. 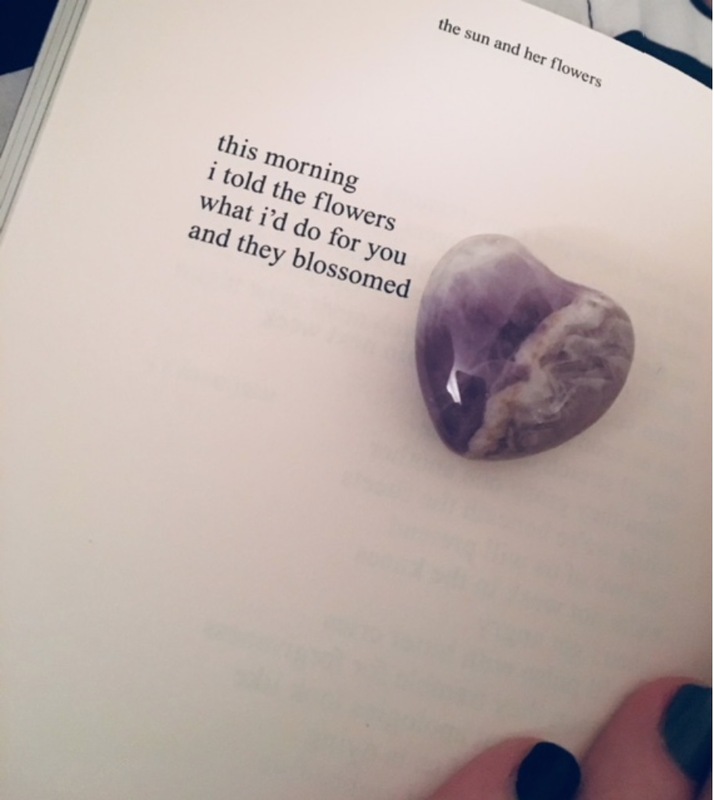 The purple heart stone was a memento given to me by someone I love which correlates to the content of the poem. There are many ways to approach this activity, though! Don’t let these examples limit so much as inspire you~ You’re sharing words you love, after all. Show us all how they move you. More, move us with your creative work. #dda156 @netnarr Part two: While, through the west, where sinks the crimson day, Meek Twilight slowly sails, and waves her banner grey?